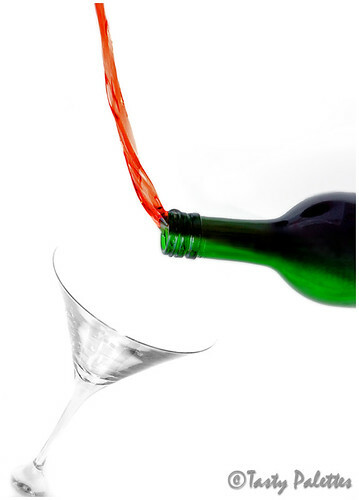 I have been doing some experiments for this month’s Click – Liquid Comfort. After a few unsatisfactory attempts, I had almost given up. ‘Better luck next time’, I said to myself. Looking at my failed experiments and taking pity on my plight, G agreed to help me. He gave me this fabulous idea and helped me take this shot. A colorful non-alcoholic cider was our choice of liquid comfort. Served hot or cold, this versatile winter favourite can be enjoyed by adults and children alike. Part Photography - Part Presentation, this shot was not as easy as I had thought it would be. Turns out, taking a high speed shot without flash in natural light is quite tricky. We had to use a combination of home-made light reflectors to achieve optimum lighting against a white background. Not to mention the awkward positions we had to be in to hold the frame in position. Winning shot or not, I learned so much and had fun doing so, with my beloved G.
Incidentally, this post is quite fitting in this moment of celebration. I just noticed that this is my 101st post. I have been blogging only for 8 months, but it sure does feel like a long time. Mor kali is one of my childhood favourites. Slightly gooey and tangy, it can be prepared in a jiffy. No vegetables to chop and no spices to grind. The only catch is to keep stirring it for about 15 minutes until everything comes together. It also needs more oil to get it moving, without clinging onto the sides of the pan. To avoid excessive oil and constant stirring, I make this in the microwave. It cuts down the cooking time and the taste is just the same as the traditional one. Except, for those tasty burnt bits stuck to the bottom of the pan. Well, you have to loose some to gain some. Though red chillies are the usual norm in this kali, my mom replaces them with ‘mor milagai’ (green chillies that are marinated in yogurt+salt and sun-dried). 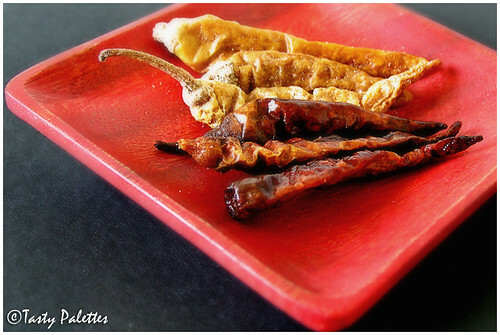 These cured and sun-dried chillies stay forever, if stored properly. These chillies are not hot, but aromatic and flavourful. When needed roast a few in very little oil and store in an air-tight container for about 10 days. They go well with yogurt rice, pulao etc. If you can get them, be sure to use in this recipe. I don’t make tadka or seasoning in a microwave oven, due to prior bad experiences. If you are comfortable, this dish can be entirely done in the microwave. 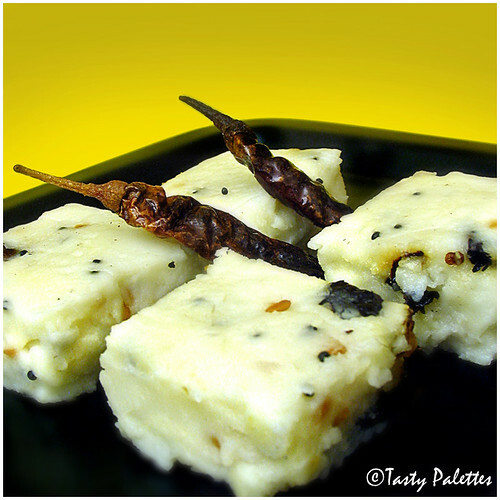 This is my entry to Microwave Easy Cooking – Tiffin, hosted by Srivalli of Cooking 4 All Seasons. In a microwave safe bowl, mix rice flour, buttermilk and salt without any lumps. The mixture should be of idli/dosa batter consistency. Heat oil in a seasoning pan over stove-top, splutter mustard seeds, and roast urad dal, chana dal and yogurt-chillies. Add this to the rice flour + buttermilk mixture. Mix well and cook in the microwave for 10 to 13 minutes, stirring every 3 minutes. The kali will stick to the sides of your mouth when not fully done. The mixture will thicken and become translucent when cooked. If desired, transfer to a well oiled plate, smoothen the top and let cool. Cut into 2 inch squares and serve. Else, serve like a pudding. The kali can be cooked longer for a crumbly texture. Other versions of kali at The Singing Chef, and Menu Today. 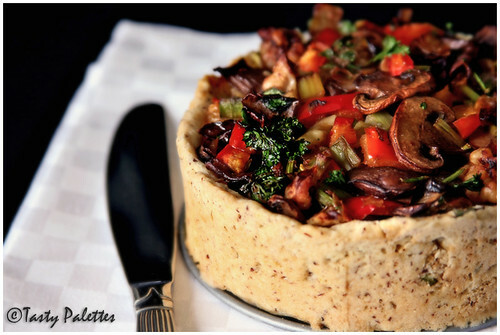 Leek-Tofu Quiche is one of my favourite quiches that I have made it many times now. Its tasty, healthy and best of all, versatile. Johanna of Green Gourmet Giraffe agrees with me on that. If there is anything I would want to change in this recipe, it is the egg. Since Radhika chose the Allium family for this month’s JFI, I took this opportunity to do just that. I was aware that flax seeds can be used as an egg-replacer, but never tried it myself. A tbsp to muffins and cakes for a little crunch, was all I used them for. To my surprise, the flax mixture was as glutinous as eggs. Not to mention the nutty flavour it lent the crust. I am going to try this technique in few other recipes that I normally make with eggs. This is a formula to remember. One egg = 1 tbsp of ground flax + 3 tbsp of hot water. Amongst the Allium family, leeks are the most fragrant, in my opinion. They are mild, sweet and don’t overwhelm other ingredients. This time I paired leeks with mushrooms and red bell peppers. Otherwise, the filing remains the same as the original version. Preheat oven to 350F. Grease two 4.5 inch springform pans or one 9 inch pan with olive oil. To make the crust, mix ground flax and 3 tbsp of hot water in a big bowl. Whisk vigorously for a minute. Microwave for 30 seconds and whisk again. Microwave for another 30 seconds and whisk again. The mixture should now be thick and gelatinous like egg. If you don’t have a microwave oven, do this on a stove-top. Simmer the mixture for 5 minutes for the desired result. To this, add rest of the ingredients to make the crust. Press the dough on the bottom and sides of the pans. Prick the top few times with a fork and bake the crust for 8 minutes. 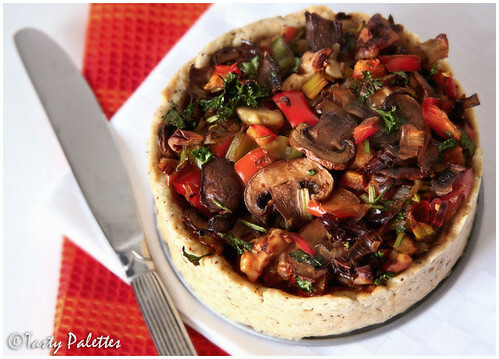 Make the filling by sautéing mushrooms in olive oil. When they are lightly browned, add leeks, red bell pepper, garlic, green chillies and salt, and sauté for another 3 minutes. Remove from heat and add sun-dried tomatoes, walnuts, cilantro, parsley and lemon juice. Spoon filling onto the crust and bake for 40 mins. Serve warm with a side salad. Check out Nupur’s Vegan Cornbread made with flax seeds. After a visit to the pumpkin patch this fall, we had pumpkin-this and pumpkin-that over the weeks that followed. Personally, we both are not great fans of pumpkin. They are little too sweet for our taste. But the little orange ones were too cute to pass. To compensate for their sweetness, I try cooking winter squash like pumpkin or acorn in a spicy gravy or a creamy sauce. After making lasagna, ravioli, sambar, kootu with the squash, I still had some to finish off. In a whim, I paired it with a globe eggplant that was lying in the refrigerator and made a curry to go with rotis. The results were more than satisfactory. Now that fall is gone, I chose butternut squash to make this curry again. It was just as delicious as the original recipe. The smoky eggplant and the sweet squash were quite a duo. Made with lots of onion, tomato and readymade spices, this is quite an easy and forgiving recipe. I have made this with both sambar powder and curry powder. With either of these spice mixtures, the curry turned out to be great. I even added a handful of black chickpeas(not in the picture), which hit right on spot. The recipe given below serves four. But make extra, leftovers are even better. In a big skillet heat a tbsp of oil and roast eggplant on a medium flame. Eggplant should be slightly roasted and softened. Remove from the skillet and set aside. Similarly, cook pumpkin/butternut squash in a tbsp of oil until done. Remove and set aside. Heat remaining oil, roast cumin and fennel seeds, and sauté onions for about 3 minutes. Add chopped chilli, tomato, fenugreek seeds, black chickpeas and salt and cook over a medium heat for 5-7 minutes. The tomatoes should turn soft and mushy. Add sambar powder (or your preferred seasoning), cooked eggplant and pumpkin/squash cubes, and cook covered for 10 minutes. Sambar powder should loose its raw smell and everything in the curry should come together. Add black pepper, check seasoning and serve garnished with cilantro and mint. Serve with any flat bread. 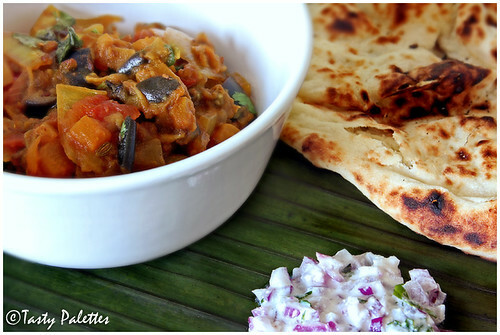 Eggplant and squash curry served with naan and raita. This is my entry to Fresh Produce of the Month, hosted by Marta of An Italian in the US. When its cold outside or when our body and mind needs rejuvenation, this is our go-to lunch menu. A mere sniff at the hot rasam melts our cold away. Rasam, a watered down version of sambar, is synonymous to soup. Its much lighter, easier to prepare and easier to digest. A typical Tamil meal consists of sambar, rasam, yogurt (homemade and plain), vegetables and rice. Sambar, rasam and curd, served in that order, are to be mixed with rice and eaten with vegetables. Rasam acts as a palate cleanser after the rich lentil and spice laden sambar, and before the cool curd rice. There are many versions of this rasam, also known as ‘mulligatawny soup’ or ‘milagu thanni soup’ (pepper water in Tamil). This is my mom’s version. Garlic is optional, though not in my household. You can remove the garlic before serving, if you find it too strong. Curry leaves may be hard to find if you are not in India. But if you can, be sure to include it. Its flavour is unmatchable. Seasoning this rasam with ghee adds another layer of flavour. When I am down with a nasty cold, a tsp of indulgent ghee soothes my throat and soul. You can use oil, if you feel guilty. Mix salt and tamarind paste in a cup of water and begin to boil along with smashed garlic cloves. Grind pepper, cumin seeds, toor dal, coriander seeds, red chilli and curry leaves to a diluted paste. Add this to the boiling tamarind water and boil until tamarind and other spices don’t smell raw. You will be left with a thick paste of tamarind and spices. To this add 3 cups of water and reduce the heat to a simmer. Let rasam heat through gently, but do not let it boil. When rasam foams on top, remove from heat and mix asafoetida. In a separate pan, heat oil or ghee, splutter mustard seeds and roast some more curry leaves and add to rasam. Serve hot as soup or with rice. 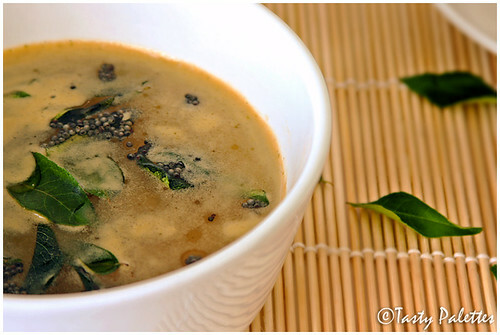 This garlicky rasam is my entry to Sunita’s Think Spice – Garlic. For most of us, potato is synonymous to comfort; be it fried, mashed or sautéed. This simple roast is quite often paired with pepper rasam in our house. Once you try this combination you will know why. Sambar powder is a readily available spice mixture. It is my preferred choice of seasoning for any quick pan-fried vegetable. If you don’t have sambar powder, a combination of coriander powder, chilli powder and turmeric will do the job in most of the recipes. Heat a tbsp of oil, splutter mustard seeds, and roast chana dal and urad dal until light brown. 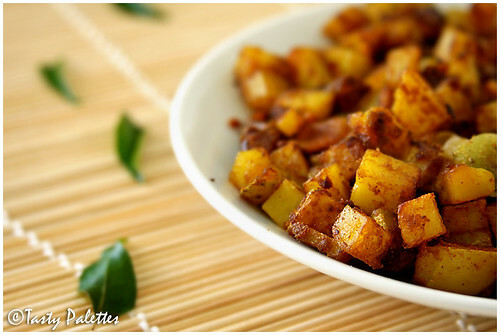 Add cubed potatoes, sambar powder (or combination of spice powders), salt and mix well. Cover and roast on a medium flame, by sprinkling water when necessary. When the potato cubes are cooked through, add another tbsp of oil and roast on a low flame. When they turn crispy, remove from heat. Serve with rasam and rice. This also goes well with rotis, puris, sambar and yogurt rice. Meeta, this is my idea of comfort food and I am bringing this to your Monthly Mingle. 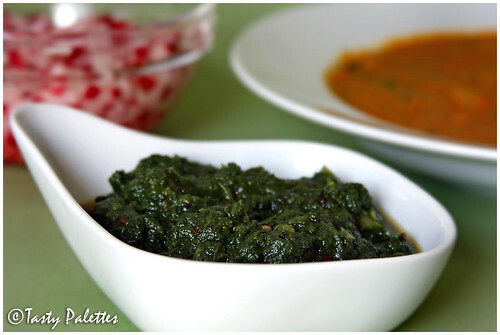 Cooking greens with dal is the safest thing to do when you are trying new greens. Lentils are quite forgiving, that they absorb the flaws of other ingredients (if any), in any recipe. They are creamy, comforting and can be prepared in countless number of ways with ingredients on hand. If you don’t like a particular green with dal, then you may never like the green at all. At least, I don’t (I have had really bad experiences with some unknown Asian greens). After deciding that I and G like a specific green, I normally move on to using ‘em in other recipes. But with collard greens, I always come back to dal, particularly moong. 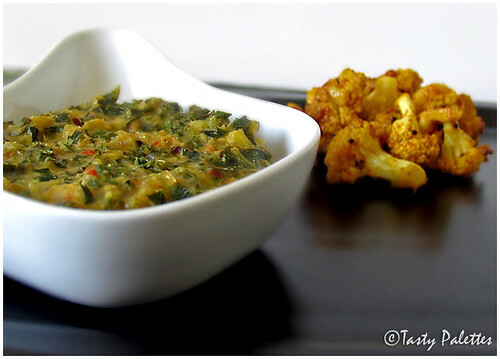 The combination of creamy moong dal with hearty collard is a winner in our home. I would say, collards are kale grown without the ruffles but with much pleasanter taste. After all, they belong to the same cabbage family. 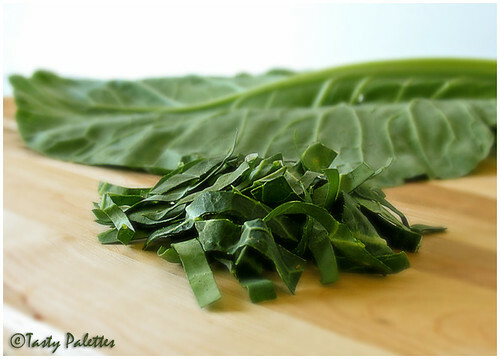 Collards are an excellent source of Calcium, Iron, Manganese and Dietary Fiber. They thrive in colder temperatures, so winter is the best time to buy ‘em. Cooking collards on stove-top takes about 25 minutes, and they still retain their crunchiness. Since I make it with dal, I find pressure cooking the greens to be much faster and easier. The ingredients are barely chopped and thrown into the cooker and then blended finally to attain the desired consistency. If you don’t have a blender, finely chop the vegetables before cooking. In the Northern hemisphere, unripe tomatoes are picked before the first frost. They are aplenty in our city these past few weeks. In a recent trip to the farmer’s market, I came back with these green beauties. After making salsa and fried green tomatoes, I added the last two to this dal. The tart unripe tomatoes added a totally new dimension that we absolutely loved. If you are not game for tart green tomatoes, then go with red tomatoes. They too contribute well with their sweet flavour and red colour. In a pressure cooker, cook moong dal, collard greens, tomatoes (green and/or red), green chillies, cumin seeds and turmeric powder with 3 cups of water, for 3 whistles. Once the pressure subsides, remove the cooker lid, and let it cool a bit. Add coconut and salt to the cooked dal. Using a hand blender, lightly blend dal, till the greens and tomatoes are chopped into smaller pieces. In a seasoning pan, heat oil, splutter mustard seeds and toast curry leaves. Add to the dal. Serve hot with any spicy sautéed vegetable and rice lightly drizzled with sesame oil. This is my final installment of 1-in-3 – Western Greens, Indian Style. This creamy comfort is on its way to My Legume Love Affair, hosted by Susan, The Well-Seasoned Cook. Her gifted hands delight the readers with not only delicious recipes, but also with well-written posts. Kale is one of the toughest greens I have come across, literally. A mere glance at those woodsy stems and chewy leaves isn’t exactly inspiring. But a closer look reveals much more. 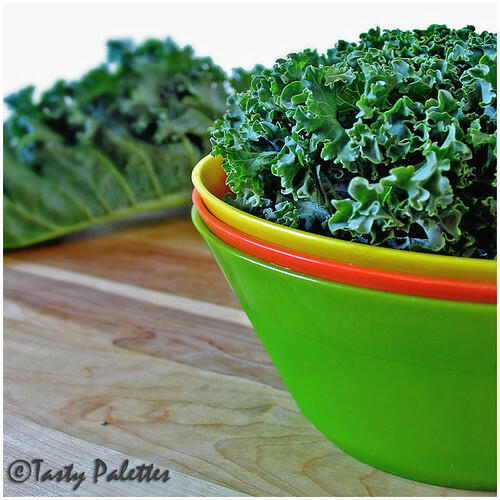 Kale boasts a nutritional value second only to spinach. Belonging to the Brassica family (cabbage, broccoli, cauliflower are also members of the same family), this hardy green is rich in anti-oxidants, which may protect against cancer. So a readily available green, with so many health benefits and a lot less calories, has to be included in one’s diet. Cooking kale to my likeness didn’t turn out to be that easy. Many recipes required just sautéing the green with red pepper flakes and garlic. No, it has to be something more than that. A mighty green as this one should stand up to robust Indian spices. The answer was with Pedatha. 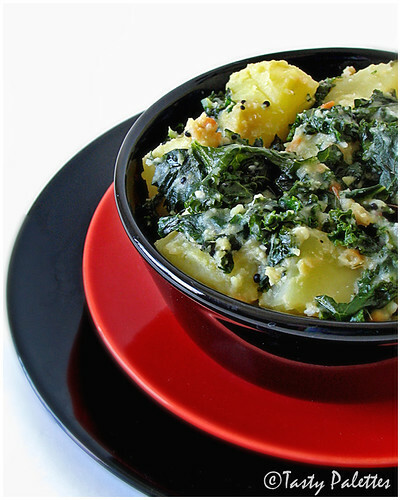 A recipe with greens with potatoes was to be modified to suit kale. Before going to the recipe, I should talk about ‘Roasted Gram’ or pottu kadalai, as we call in Tamil. Bengal gram is obtained by skinning chickpeas/garbanzo. Bengal gram is then dry roasted and sold as ‘Roasted gram’ or ‘Roasted chana dal’. It is mainly used as a thickener in chutneys and curries. 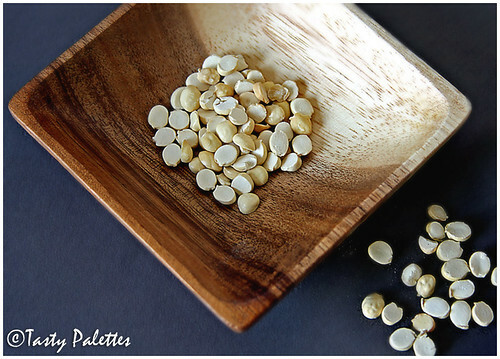 These buttery smooth lentils are great for snacking too. 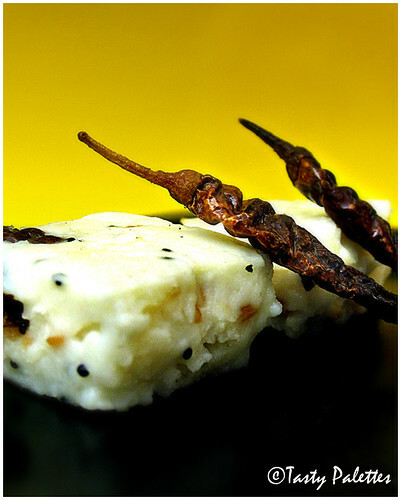 Pedatha, in many of her recipes, uses powdered roasted gram for a creamy texture. And, kale very well needs that. Thank you Pedatha, for your inspiration and ingenious ideas. The recipes I have tried and techniques I have adapted from this book, have never failed me. Thanks to Indira for bringing this book to our perusal. 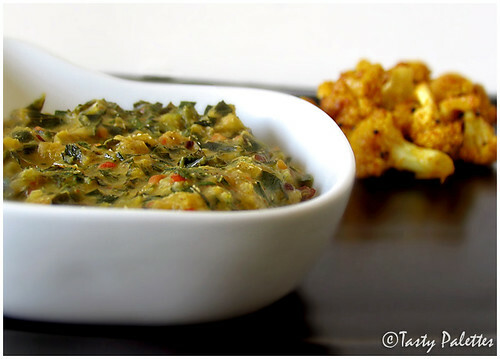 So, here it is, Aloo-Kale, the second installment of 1-in-3 - Western Greens Indian Style. Boil potatoes in salted water until done, but still firm. Peel, dice and keep aside. Prepare kale by removing the tough stalks. Chop the leaves into bite sized pieces. Grind roasted gram, coconut, ginger and garlic. In a kadai or pan, heat oil, splutter mustard seeds. Add urad dal, red chillies and curry leaves and roast till dal turns golden brown. Add kale, turmeric and salt, cover and cook for 10 minutes, stirring in between. When kale is 3/4th done, add potatoes, coconut mixture and continue to cook on low flame, sprinkling water when necessary. After 5-7 minutes, when kale is fully done, check for seasoning and serve with roti or rice. Growing up in India, I was familiar with few different types of greens, keerai as we call it in Tamil. Right after dawn, our Keera Kaara Amma (translates to ‘old lady selling greens’) used to bring variety of greens, harvested few hours earlier, to our doorsteps everyday. Other than the occasional drumstick leaves, spinach, pennywort (vallarai keerai, for their power to boost our memory retention), my mom mostly cooked only amaranth or mola keerai. Nothing to complain about; those tender leaves and succulent stems were a favourite of mine. I am not exaggerating if I say that I solely grew up knowing only amaranth, as a leafy vegetable. After coming to the US, I found it very difficult getting to know new greens. Salad greens were totally off limits (who ate salad greens in India? at least I didn’t), spinach did not taste the same and amaranth was nowhere to be found. Unlike vegetables, identifying a green, even if its already familiar, is very confusing to identify, if labeled under a different name. Apparently I am not alone. Living many months without greens, I timidly put a step forward to try foreign leaves. Swiss chard was to be my first try. Boy, am I glad I did. Chards (Swiss, green, rainbow) gracefully embraced me from my fear of foreign greens, and afterward, there was no looking back. I have tried almost all greens in the market shelves. And I find the best way to try anything foreign, is to prepare it the local way, something you can relate to. And that for me, is Indian style. And that is what this series is about. Allow me to share a few of my favourite Western greens, prepared the Indian way, in this 1-in-3 series. As I told you earlier, my mom bought amaranth quite frequently. But there is no complex spice mixture or procedure to cook ‘em. Cook, mash and season, that’s all. This recipe, as with many of the Indian recipes, believes in the flavour of the greens themselves, rather than relying on spice mixtures. So try using the freshest of greens. 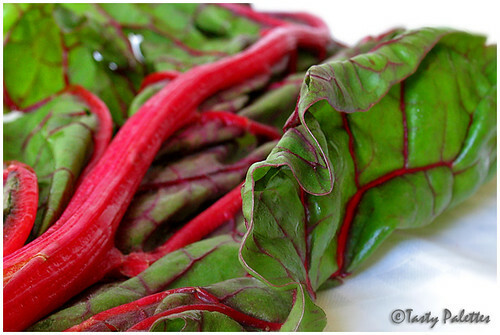 Since amaranth is not available in my area, I now make this with Swiss chard. Chards are mild, sweet and earthy that suits well with this recipe. Cook chard, green chilli, tomato (if using) in ¼ cup of water. Sprinkle more water if necessary. Chard turns translucent once cooked. Take a stick blender and blend till the greens are coarsely ground. You can also do this in a regular blender after cooling down the greens a bit. Return the vessel back to heat on low and add asafoetida and salt. In a seasoning pan, heat oil, splutter mustard seeds, then add cumin seeds and curry leaves. Heat through, check for seasoning and serve with rice and sambar. Mashed Swiss chard served with tomato sambar and radish salad. This is my entry to Weekend Herb Blogging, Kalyn's brainchild, hosted by Vani of Batasari this week. Let me start this year by wishing all my readers ‘A Happy and Prosperous New Year’. Thank you for all your wishes through comments and emails. No, I didn’t bake this cake. This is one of my holiday favourites though; fruit cake from Costco. 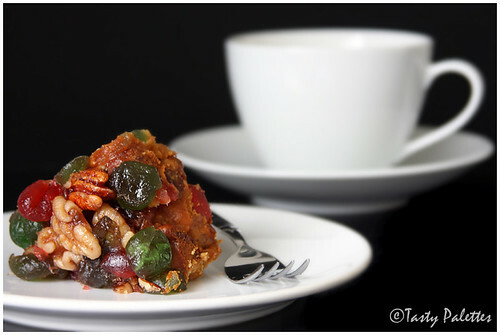 A cake with so much dry fruits and nuts, and barely enough dough to hold them all together. Every year I buy one of these cakes and enjoy it slice by slice over the next few weeks. This year I got to make this cake at home, thanks to Alice Medrich, author of Pure Dessert. I have tried a handful of recipes from this book, and I should say I am happy with every one of them. The recipes are not atrociously laden with butter and other fatty stuff. And the ingredients are what one would usually have on hand. I am looking forward to trying many more recipes from this book. I made two changes to the original recipe. I used a mixture of walnuts, almonds and pecans instead of walnuts only. After coming out of the oven, the cake was slightly dry and not so sweet. So I glazed the cake with warm agave nectar. That took care of both the issues, leaving the cake moist and sweet. I am planning to make this cake again, and this time I would add marinated cherries and candied citrus peel, for some colour and bite. Preheat oven to 300F. Grease 2 small loaf pans or 1 large loaf pan with oil or line the bottom and sides with parchment paper. In a large bowl, mix together flour, baking soda, baking powder and salt. Add brown sugar, all the dried fruits and all the nuts. Mix thoroughly with your fingers. In a small bowl, beat eggs and vanilla together. Pour this mixture over dry ingredients. Mix until everything is coated with eggs. Scrape the batter onto the prepared loaf pans. Bake for 55-60 minutes. You can tell when its done when the nuts are aromatic and the top of the loaf is browned. Bake for additional 10 to 15 minutes for a larger loaf pan. Cool for 5 minutes. Pour warm agave nectar or honey over both the loaves. Let the loaves sit overnight. Slice and serve with coffee or as a snack anytime. 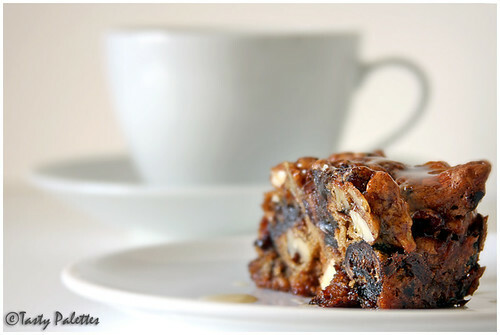 I am sending this luscious slice to Latha Mami and Lakshmi at The Yum Blog, who are hosting AFAM – Dry Fruits. I hope they accept my late entry.